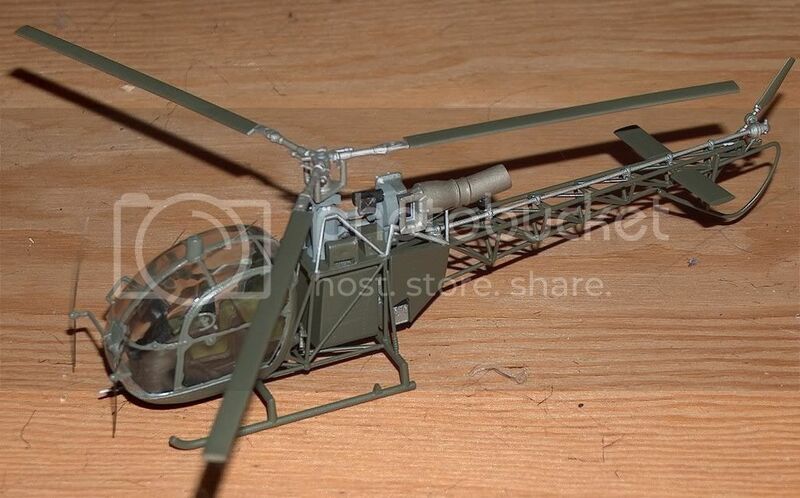 an unmarked British gazelle helo, I used donated cat whiskers for all those annteana on it. (Personally,I'd lay low with the "donated cat whiskers" reference. By the way,what scale is that? LOL, the cat shed them...so he don mind me using them. scale is 1/48...pretty much all my stuff is, I forget to add the scale unless its different.